Stunning single floor house, which will best suit for a plot above road level. Total area of this house is 3000 square feet (279 square meter) (333 square yards). 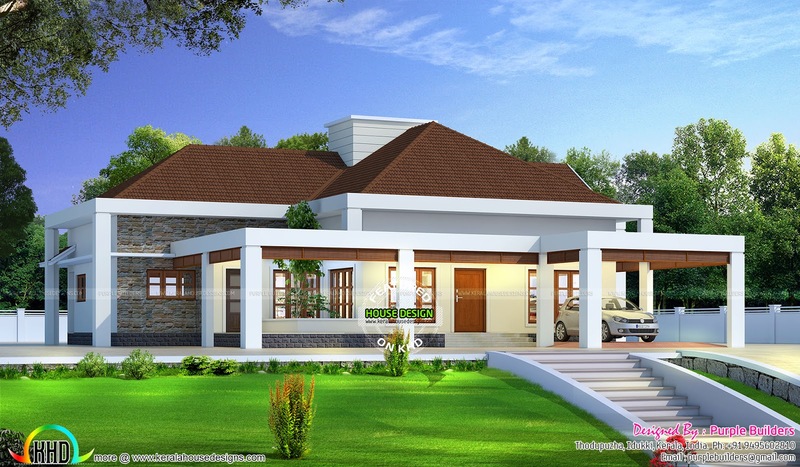 In this house plan, the designer incorporated 4 bedrooms along with a combination of bathrooms attached. Designed by Purple Builders, Idukki, Kerala. Total Area : 3000 Sq.Ft.